Most traders think they should refer to the daily time frame only when they are a swing trader (they hold their positions for more than a day). This is not true. Daily candlestick shows us the direction of the market AT LEAST for the next trading day and this is very important for the day traders, also known as intraday traders. Unlike what most traders think, daily time frame is not a long time frame. They think it is a long time frame because they are used to trade the very short time frames like 15min. Unfortunately making money through these short time frames on such a volatile and liquid market (Forex) that is also noisy most of the time, is very hard, if I don’t say it is impossible. Making some profit every now and then which is what day traders who trade the shorter time frames do, is very different from being a consistently professional trader. Every day when the daily candlestick is closed and the new one is opened, I refer to the daily chart and check the candlesticks. Sometimes I can find a strong trade setup that shows the direction of the market during the next day. I take my position (set a pending order sometimes), set the stop loss and target and I come back the next day. I do not spend more than 30 minutes a day to analyze the market. I check the daily time frame of over 15 currency pairs, and usually I am lucky enough to locate some good signals (trade setups) every week, which is more than enough. Of course sometimes I check my positions a few times per day, but it doesn’t take me more than few minutes to do that. Reading the candlestick signals needs a good knowledge and experience, but if you are not that experienced and knowledgeable yet, you can simplify the work and only focus on some special signals that are the strongest. This is what I do too. I look for the strongest signals and ignore the rest. That is why my success rate is good. Thus, you can be a day trader, but unlike the other day traders who spend several hours in front of the computer every day looking at the 5min or 15min charts, you can spend only 30 minutes on your day trading job. I do the same when the weekly and monthly candlesticks close and the new ones open. This helps me locate the trade setups on the weekly and monthly time frames too. Therefore, even if you don’t have 30 minutes per day to check the daily time frame, you can still find a reasonable number of trade setups on the weekly and monthly time frames. 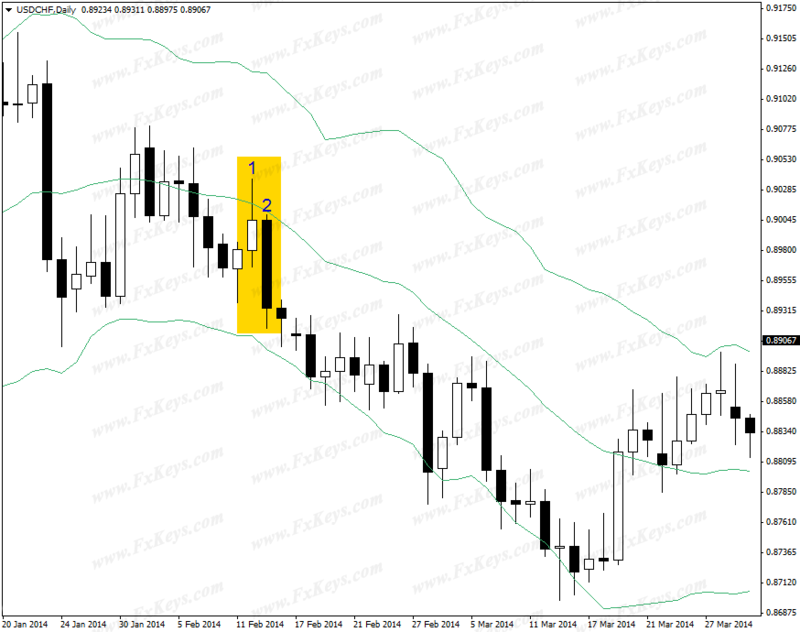 Candlestick and Bollinger Bands are all you need to have on your charts. Sometimes just a candlestick can tell you what direction the market will take “at least” for the next day (if not for the next several days). And sometimes a strong candlestick signal on the daily chart indicates that the market will be bullish or bearish at least for the next a few or few days. My target order is usually limited to the next day movement. This is my style. I know some traders disagree with me, but this method has been working for me for such a long time. In some cases, I set a bigger target, but this doesn’t happen every day, because I need a very strong signal for it. For example, on the below chart, the candlestick #2 tells me that most probably the market will be bearish during the next day too. Why? The market had been bearish for several consecutive days and a downtrend is formed. Although candlestick #1 has a bullish body, its upper shadow tells me that bears took the control at the end of the day. Therefore, if the market forms a bearish candlestick the next day (candlestick #2), then it confirms that bears will have the control and the downtrend will be continued, or at least the market will be bearish for the next day. After that, when I see the candlestick #1 and then #2 formed on the chart, I set a sell pending order a few pips below the low price of candlestick #2. The stop loss will be around the candlestick #2 open price and the target will be the same as the stop loss size. That is all. This was the example of the signal that tells me about the next day market direction only. So my target will be limited to next day movement and nothing more than that. Here is another example on the same screenshot (below). Candlestick #1 tests the the Bollinger Middle Band on a bear market. Its upper shadow tells me that bears are still strong and will not allow bulls to take the control. However, I have to wait the for the next day candlestick to form. If the next candlestick forms with a bearish body, it means I was right and bears still have the control and most probably the next day candlestick will also be bearish. As you see, the next day candlestick (#2) closes with a strong bearish body. 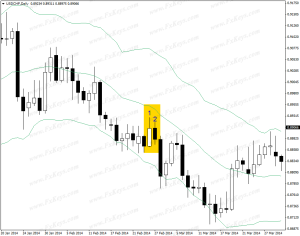 I set a sell pending order a few pips below the low price of the candlestick #2. The stop loss will be at the middle of the candlestick #2 body (because it is a big candlestick with a big body) and the target will be the same as the stop loss size. As you see, although bulls resist for several days, but it finally goes down and hits the target. Now let me show you two STRONG setups and one false signal at the same time. Please look at the the below screenshot. Candlestick #1 and #2 have formed a strong signal that tells me that the market will be bearish at least for the next a few days. 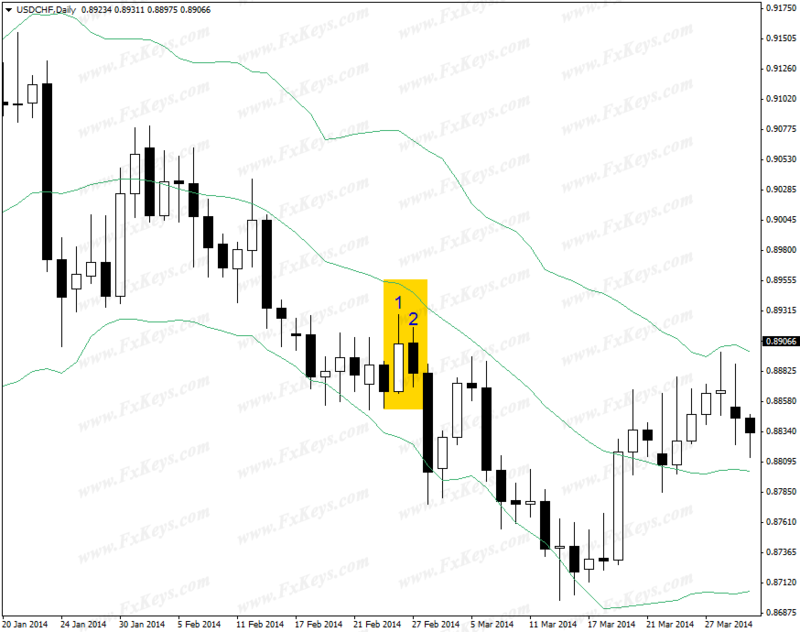 The reason is the candlestick #1 Bollinger Band breakout is strong, and then it is strongly confirmed by candlestick #2. After such a strong breakout that the candlestick #1 formed, candlestick #2 with its strong bearish body tells me that bears will take the price down. So, I set a sell pending order below the low price of candlestick #2. The stop loss will be at the middle of candlestick #2 body (because it is a relatively big bearish candlestick), and the target will be x3 of the stop loss size (a 30 pips stop loss and 90 pips target). Candlestick #3 has broken out of the Bollinger Lower Band strongly too, but candlestick #4 is not as strong as I want. So I ignore the signal that candlestick #3 and #4 form. However, candlestick #5 is too strong to be ignored (its Bollinger Lower Band breakout, its size and its bullish body). So I go long. The stop loss will be around the candlestick #5 open price and the target will be x3 of the stop loss. First, the signal that candlestick #5 has formed was TOO strong and it could still move the price up. Second, candlestick #6 has to be confirmed by the next candlestick. The next candlestick (#7) did not confirm candlestick #6 breakout and its bearish signal. Why Do I Love the Daily Chart? Novice traders always ask what time frame is the best to trade. Most platforms support different time frames from 1min to monthly. Even some of them support exotic time frames like 10min or 2hrs. I have already published an article about the time frame that I follow here. I recommend you to read it carefully. In this article I am explaining more about my favorite time frames. My goal is to convince you to stop using the short time frames like 1min, 5min, and even 15min and 1hr, because it will result in nothing but loss. 1. It takes 24 hours for each of the candlesticks to form. Therefore, each candlestick is the representative of the past 24 hours movements and events. This is a big advantage because the movements and events of the past 24 hours can have a strong impact on the movements of the next 24 hours at least. And this is a good opportunity to take positions and make some money. Similarly, a 5min candlestick is the representative of the past 5min movements. And nobody knows what will happen during the next 5min. The patterns, support and resistance lines and levels are less reliable on the shorter time frames. 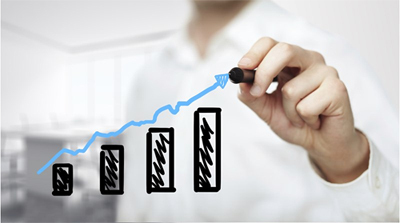 Therefore, your stop loss will be triggered easier and your success rate will be lower. With the short time frames, you have to deal with more noise and false movements. Few years ago, even one hour time frame was strong and reliable enough to trade, but now it is not reliable anymore, because forex market has changed a lot and the volume of the transactions is increased dramatically. When 1hr is not reliable, what do you expect from 5min and 15min charts? 2. When I trade the daily chart, I do not have to sit at the computer several hours per day. Day traders have to sit at the computer and gaze at the price charts several hours every day. They get tired and frustrated, specially when they cannot locate any trade setup, or when they lose in a trade after several hours of monitoring the charts. Sitting at the computer for several hours per day can cause physical problems too. After a while you will experience neck, shoulders and back pains. It affects your vision, and it is possible you experience headaches too. Then it will become even harder to trade properly and make money. I turn on my PC about 20min to half an hour before the daily candlestick close or a while after that. You know that on most platforms the daily candlesticks are closed at 5pm EST. I spend about 15-30min to check the daily charts of 19 currency pairs and gold. As I only look for the strong signals and I ignore the weak ones, I finish my daily job very fast. If I locate any trade setups, I take the position, set the stop loss and target (sometimes I set pending orders of course). That is all. My daily forex trading job is done within 15-30min, and sometimes even sooner. This is what I do on the weekends to check the last weekly and daily candlesticks. I check the monthly time frame as well when the new monthly candlestick opens. EURUSD, GBPUSD, USDCHF, USDJPY, GBPJPY, EURJPY, USDCAD, AUDUSD, NZDUSD, EURGBP, GBPAUD, GBPCAD, GBPCHF, EURAUD, EURCAD, CHFJPY, AUDJPY, CADJPY, AUDCAD, Gold. I ignore the other pairs, because many of them move similar to one or a few of the above pairs, and many of them are not reliable. I think 19 pairs and gold are more than enough, and you really don’t have to check more pairs. It will not make more money for you. Some people think that forex is like the other businesses: If you want to make more money, you have to work harder and more. But this is not true about forex and online trading. Working harder and spending several hours at the computer does not mean that you will make more money and you will have a higher success rate. It can even cause you to lose more. 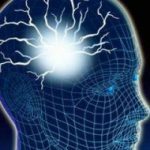 When you are experienced, knowledgeable and wise enough to pick the strongest signals from 20 pairs daily charts, why should you spend more time at the computer? I think I will forget about the daily time frame and will only trade the weekly and monthly time frames when I get older. But I will never think about using the shorter time frames, even 4hrs. Forex trading is for making money. It is not for making us busy, because it is not a “business”. It is an investment opportunity. Thanks. This tutorial was very useful. Though I don’t know how to use Bollinger bands and rely on trendline and breakout indicators. Now I know a bit more about candlesticks! I am a big fan of yours… GOD BLESS YOU !!! I came from a very lower class family in my country, i have no work or job. full family depend on me. i enter the market around 7 years, when i was in college. i know everything about. but because of my family situation, i always tried and thought to rich quick, earn money quick. i always felt very greedy. i blew up already $10k in 7 years. i lost all of my money, now i am really so poor. but still i want to a trader who trade for living. and want to give my family a wealthy situation. please, give me some advice , how can i overcome all of my bad condition and become a really pro trader…please. Thank You again for your info and strategy. Kamel hi, very interesting strategy which I will be looking into over the next month. Just a couple of questions if you don’t mind. 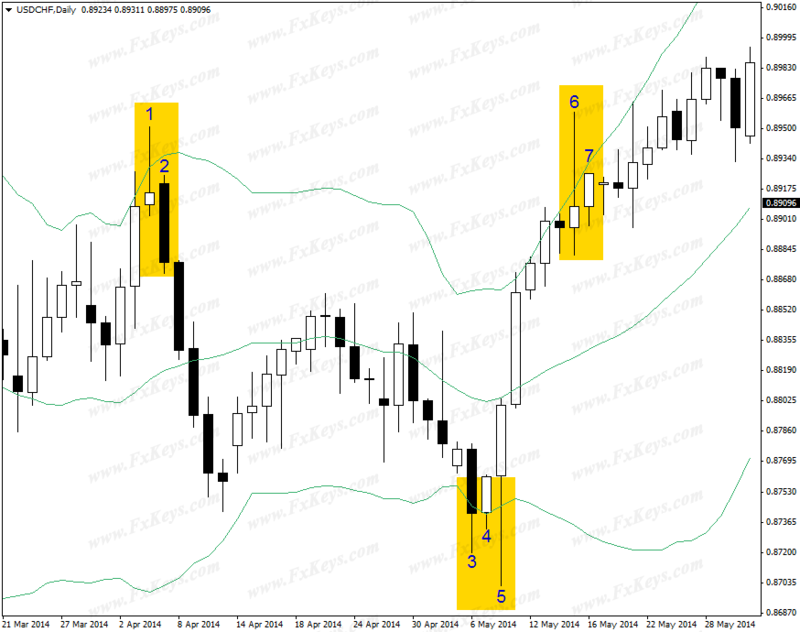 I presume you have you Bollinger Bands set at 20,2, is this correct? Secondly, what time do you place your trades? Hi Jonathan, I use the default setting for BB. I check the charts after the daily candle close which is at 5pm EST. If I locate any setups, I place the orders. Hi Kamel. Do you ever look at Fundamental analysis and base trades off of the news? even if they would go against a good setup on the charts? I am a new trader and i’m trying to follow both technical and Fundamental but I find that they are not correlated that often. thanks for your time! Hi Pete, No, I don’t check the news. The news result is reflected on the price charts. The strong setups we see on the charts are created by the news. Kamel, it cant be simpler and easier to understand your way of looking at the chart and trading……awesome…. subscribe to you without any hesitation…. Kamel, for e.g. if close of the day candle is a pin bar cutting through the lower band , do you place a pending order immediately or wait for the confirmation the following day close? or before? I like to spend one or two hours after the nyc close ( i presume that will form and close the daily candle) and put pending orders immediately, is it possible? In other words, what conditions need to be met to place pending orders, looking at the daily candle close? If the pin bar is really long and it forms a strong BB lower band breakout, I will go long. It depends on the pin bar strength. It has to be really strong to go long without having to a confirmation candle. You can also set pending orders instead of taking the position right away. For example, when there is a long trade setup, you can set a buy stop several pips above the high price of the candle that has formed the long trade setup. I would like to ask you, if you see strong setup for trade, for example BB breakout, you start trade with one position and close it in one day or open more smaller positions and close it step by step ? Sometimes you hold positions few days and weeks? I usually take one position. If the signal is really strong, I close half of it at my first target which is usually the same size as my stop loss. I leave the other half open to make more money. But I rarely do this. Yes, sometimes I hold the positions for several days or even weeks when the trade setup is TOO strong and it indicates a big and strong reversal that moves the price for hundreds of pips. I sometimes trade based on the weekly any monthly charts too. Therefore, I will have to hold the positions sometimes for several weeks. Don’t you worry about swaps eating into your profits for leaving an open position for a long time? I’m guessing that in #6 “breakout” refers to going above the top Bollinger band and the reason it is a bearish indicator is because of the major reversal back into the upper band area on the same day? Yes, it was a bearish signal, but was not confirmed by candle #7. Candle #7 had to be strong bearish candle to confirm candle #6. But it close with a bullish body which mean most probably the up movement would be continued. So no short setup there. Hi kamel. The pin break out we are talking about is more dependent on the trend of the bb whether upward or downword and not on the type of the candlestick. M I right? We need a candlestick reversal pattern and a BB breakout at the same time. Some of them have no big upper shadow, but still they are strong patterns. thanks a lot for this article. have question. you said that: My target order is limited to the next day movement…: what does it exactly? it means for example you buy today and maximum you will sell tomorrow? am i understand? Yes. Usually I will be out the next day. However, when the trade setup is too strong I hold the position for a longer time. Thanks for your articles and showing us your trading method. It is similar to’s method since you both use the same indicators (candles and BBs), and what you show as ‘strong’ setups, is the same ‘strong’ setups that shows us. I think something that would be very useful for anyone visiting this site often, is if you could please tell us the ‘less-strong’ setups that you enter. It is not necessary to tell us the setups Before you enter. Just tell us one time each week what setups you entered during the week? If you dont have the time for writing too much details, just a few lines is okay and we can try to understand the reasons for entry by ourselves. If you are comfortable with doing this, it would really be too useful for us and future followers of LuckScout. Many of us are learning by looking at examples of real trades, the more the better! If you are not comfortable to do this, then please dont worry, we understand! Ash, you are welcome. i can do that. Actually we took a weak position this week and is supposed to write about it. Thank you! You guys are just great ! Thank You . i read most of articles and they are very useful. i agree with you 100% but it is reasonable when you have an Big account and you can take a position and wait for several days or weeks to close it . i started with 200$ account . so i need to close my positions after several hours with several dollars benefit or loss , to release money for another trades . i worked with several demo accounts with several methods . 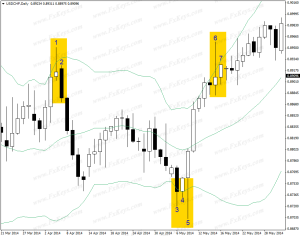 when i use daily trading i should take a stopLoss position with lots of pips to cover false elliot waves . if i open 3 or 4 trade , in waves my account reach to margin limit easily . can i use candlesticks rolls , Bollinger middle bands , CandleSticks shadow and all of your trading for shorter time frames like H1 or they work only for D1 time frames ? Hi Majid, They work on all time frames. However, the problem is that the shorter time frames have become unreliable on market. You could trust the one hour chart 5 years ago, but now it works like a 1min chart. So I do not recommend you to use short time frames. If the account size is your problem, then why don’t you take smaller positions? Hi Kamel, been reading your entries and like this day system you have going. It suites me as I work full time and wanted a day type of system to follow and develop that will take me away from the screens. 1. can you tell me on average how many open trades do you have at a time and you noted that you follow 15 pairs, have you increased them or are still sticking to your fifteen pairs alone? 2. You mentioned that you trade the weekly TF sometimes, but I guess the SL will be a lot larger or do you use the Weekly TF to gauge a set up on the Daily TF. 3. What are the Bollinger Settings you use please? 4. I have read one of the Articles about Scaling up, do you ever use them. 1. It depends on the markets. You never know how many trade setups they form. Yes, I still check the same pairs. 2. I trade the weekly itself. Yes, the SL will be larger, but the solution is in taking a smaller position. 3. It is the default settings. 4. No, I am not used to it. How would you trade if a signal appears when the candle closes on thursday and is confirmed by the friday candle? Would you wait until the monday candle is closed? Or would you just enter your orders as soon as market opens on sunday? I enter on Sunday afternoon when the market opens. Thanks for your quick reply! I have started using your strategy this week; already showing good results! I have taking some weak setups just to test, which I maybe should not have take as a beginner.. but all are turning out to be winners. Will demo this till end of this year and try to get comfortable with it. hi all good teachers! kamel if u don’t mind, i would like to learn more about your simple candlestick style which there is no need to care about resistance levels even. i read your posts everyday at least one time and checking charts again, of course after’s analysis. so DBB and that technical things are ok but like u i believe to candlestick more than any sign on foreign exchange. so just can u write more articles to make your rules more clear like which forms you in or not please? we are careful about middle band but you trade sometimes in middle band out (upper or lower shadow), sometimes when the candlestick just about to touch to middle band and sometimes no touching to band even (just looking to shadows like in this article) sorry it was a long question but i hope i could explain it. thank u again for all. Thank you so much for the clarification of how you trade, simple and precise. As for the pairs that you trade, you mentioned 15 of them, can you give some clarity into which ones work best for you. Where do you get these charts? What are the time frames for a short position a long position? Thanks I think you guys may have saved me from disaster thanks from the bottom of my heart! Time frame doesn’t have to be different for short and long positions. is it doesnt matter to take high risk (5% from account) because 1 to 1 risk reward not enough profit to me. Pls answer this matter. Please can you write more about your candlestick strategy? Hi Kamel, nice candlestick strategy, i have a question. Does signal must form and touch moving average one of the candlestick (shadow,…) or we can also take setup that form a little far of moving average. Look USD/CHF 20. Jul 2011 for example, and would you take 8 Jul 2011 setup, i think its valid setup. Have i understood this correctly: In a strong trend, you look for reversal patterns at the middle band, and in a ranging market, you look for reversal patterns at the outer bands? I’m afraid i don’t have an intuitive grasp of this yet. Hopefully it will come. it’s an important question please answer it. thanks in advance. Hi Kamal, thank you. Great article. I would like to know more about your system. Please could you write some more articles. Like indeed in what kind of markets should we take the signals. Best Regards to Kamel and to! Hello! I have a question about the target you set. In the article you mentioned that the size of it is the same as the stop loss. I was wondering if it is right to put the same size of the take profit and stop loss, I mean about the reward/risk ration rule that is one of the important about becoming profitable trader? Thanks. I`m sorry for the mistake I made. I didn`t notice that this article was written by Kamel. In your last example you show trading off the outer bands, I thought you only concentrated on the middle Bollinger band? Kamel: Thanks for a simple and great strategy. To avoid Rollover charges (overnight interest charges) it is better we EXIT a few minutes BEFORE the close of the candle. Am I correct? (i.e., Enter after 5pm New York Time. The next day EXIT before 4:59pm instead of waiting for the candle to close – unless we decide to hold longer). 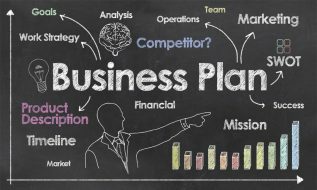 for this strategy do you also open 2 positions and leave 1 position without any target? i think this strategy suits my style and also i can use it together with´s method as well. In both of your articles “I Trade the Daily Chart, But I Am a Day Trader” + “Daily Candlesticks and Bollinger Middle Band” you showed examples of a trending market. would it be ok to show examples and maybe a few words on how to approach trading in a ranging market, it will be great. Thank you and very much. Hey kamel (hope you’re still with us), I’m pointing you the question because you wrote this great article but if you want to answer I’ll be very happy. Well, you wrote that most of you’re trades are 1R and the next day you’re out of the market, I found it very tempting to open two positions and to leave one position open if a stronger movement will develop, the thing is that when I loose I loose 2% which is the risk I take, If I win – many times I get out with 1% profit or at break even, AND most of the time there is no trend that developing :). I would like a ray of light on the logic that brought you to trade like this, maybe I will understand and move forward cause its a bit confusing (the temptation to leave one trade open). if you can combine the word probabilities in your answer it will be nice! Thank you Kamel and. much appreciation and gratitude!!! Thanks for a great article and some good tips. I can testify that this strategy does work. I followed it in my last 5 trades. 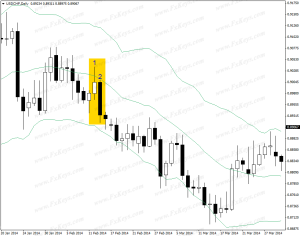 All turned to be winners with an average of 50 pips per trade. Your contributions to humanity are truly priceless by “teaching a man how to fish” and gain some true independence. I wanted to ask whether a weekly/daily forum could be produced to show Kamel’s semi-day trader analysis so that we can compare this with our own analysis in order to further understanding. Also forums separately for candlestick bb, dbb, and stochastic breakout would be greatly appreciated. Unfortunately Kamel has not participated in any of these activities. That is a great idea though. I have to ask him to start a topic on the forums and let traders follow him. Apologies for the late reply. I have been occupied so badly, and I am a struggling grad in london, its like being in limbo, but making the best of it. I’ll catch up with the latest articles I have missed. Hopefully we can get an updated forum soon. Thanks a ton for considering my idea and ever grateful for you and the team. Cheers Casey, I appreciate the consideration. I have to catch up with the last two months, but il definitely be up to scratch to contribute back to the LuckScout community. What are those special signals? are they only the engulfing patterns and other we use in our regular system or there are other special patters that Kamel take advantage of? I also follow the strong support/resistance lines/levels breakouts on the long time frames. The first thing is that they have to be not too sharp or shallow. The other thing is that they have to be validated by the price reaction. It means the price has to react to them, otherwise they are not valid. I already have too many articles about them, but it seems I have to write a detailed article focused on the characteristics of strong SR lines. Thank you for reminding me. I am adding it to my to do list. Perfectly written and so easy to understand.adding your strategy to’s strong trade setups can be a real trading path.just like anyone else I am waiting to hear more from you on this topic.Thanks a lot kamel. Great Article. I have one question. Does Kamel hold positions over a day. For instance if his limit order is not triggered does he close the position at 5:00 pm or let it continue into the next day. I hold positions over the weeks and months, maybe even years. This could be off topic, but will you be able to share if USD related pair for instance will move the same way? For instance if Short EUR/USD, then USD/JPY is good to be long? Does this correlated somehow or they are independent? Would you mind to list the 15 pairs you’re watching out every day after the market has been closed?? which of currency pairs trade? I’m confused with this information here, at one point you say only hold for the next day’s movement then in the next example you say it took the market a few days to achieve your target, can you please clarify if you are holding more than 1 day? thank you! In your first example, the barsih candle is formed below middle band without touching middle band. You’re in the position when not being tested middle band? Are not you concerned about the lower shadow candles 2 in the first chart? One more thing please, because I wanna to falow this type of setup ( like example in first chart ), does the candle must reach middle band , or do you have some rule if not tuch middle band you are in if …? How is the frequency of occurrence of right setups, let’s say in a month? Good work Sir, I will like to know your entry time frame, or still in Daily? God knows how many times I have read this article. I like Kamel’s trading style, and I’m following his trading way (without pending orders), because it is working for me, and it is in accordance with my character. I am not able yet to open position based on setup from the first example, that inside day setup is weak for me, but I think that I will be in the future, when I gain enough experience. Yes, we are updating the old posts. Usually I don’t move the stop loss. in this article Kamel said”I check the daily time frame of over 15 currency pairs”. what atr these 15 currency pairs? and what are the reasons he ignores about the rest? You don’t have to follow the rest simply because almost all pairs are correlated. When USD/CHF forms a strong setup the others like USD/DKK and… will do the same. So you can trade only one of them. Great article. I have switched to BB now as a result of reading this but when I look at my charts it appears there are huge moves within the outer limits of the bands which you can miss out on because it didn’t pierce the outer lines. Is this something you are happy to live with or do you have a way of trading inside the bands? I stand corrected, I’ve looked again at charts and see that even a pin bar breaking the Bolinger signals a reversal. Thanks for sharing a clear and profitable strategy. My demo account is in profit this week so I’m going to switch to my live account with this now. Cheers. I just got stopped out because the trend continued upwards despite a huge breakout candle, one of several, piercing the top bb. On the first reversal candle I went short but the next candle blazed upwards. What was I doing wrong? I can’t see how to share the screenshot. Thanks for your help in advance. For the trades that you limit your TP and SL to a 1:1 position, do you close the trade if the next day’s candle doesn’t hit your TP or SL and take whatever Profit/Loss you have or you leave it to ride till it hits either the TP or the SL regardless of the number of days it takes to do so? I usually allow the market to go on its own way. So I let the position work. However, if a reversal forms that realizes me that the price won’t hit the target, I get out. But I don’t like to manage my positions usually. Thank you for your article on how you trade the daily. I have a question. Perhaps you or a reader would answer. I close trades before the Friday close. Therefore, if I were to take a trade, I would do so only if I thought there was a good chance the trade would go into profit before the Friday close. Now, it sometimes takes four or five candles for a trade to move into profit. Should I therefore not take trades on the daily beyond Monday? Where is your cutoff? How do you work it? I really like this article. I trade only from the daily chart too. The hardest part I had to learn was patience but now I trade with so much confidence and less stress. Believe it or not but there are only 2 types of candlesticks i’m looking for and I trade mainly reversals because these are very easy as long as you know how the patterns works and have the patience to wait for the right set-up before pulling the trigger….and when I do, I do it hard! I mean 1k to 10k standard lots. So as a beginner: Am am in the UK and want to trade Forex – does this strategy work looking at London close time? Great article for newbies like me.